I have to develop my muscles!! なんかやっぱモデルさんみたいに鍛えた体じゃないと裸にシースルーはダメですね(--;)wベッカムやガブリエル・オウブリーやアッシャーみたいになりたい・・・ww The jeans I wearing is JIL SANDER. The jeans & Backpack of Kieth Haring is my favorite items :) Thank u for reading. This is my "Wish List". Bag: BALENCIAGA Giant City Both Coats: Burberry Prorsum I like Berberry Prorsum's coats so much :)I wish I could buy Berberry's coats every season.LoL Thank u for reading. 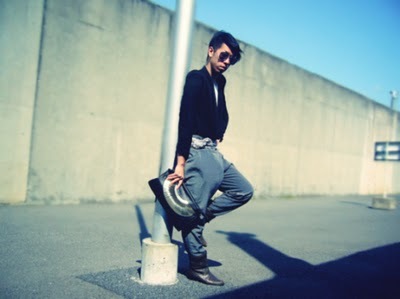 Coordinate with using sunglasses remade by myself. 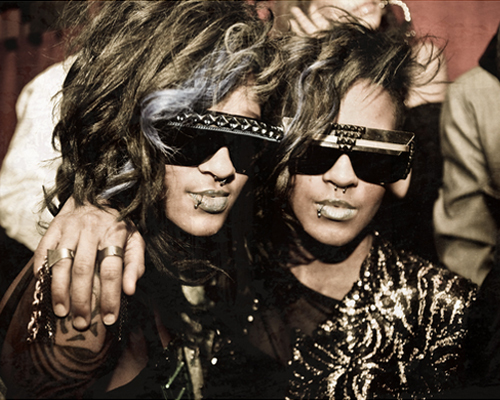 Coco and Breezy are 20-year-old identical twin accessory designers from Minneapolis, Minnesota. CoCo&Breezy is awesome designer!! They are talented!! まだ20歳でこんなに独創的で立派なデザインのアイウェアを考えて多くのセレブに愛用させるなんてすごいですよね(・・；)憧れますね♪ Thank u for reading. "A sober male fashion world's need major changes. Rather than go the route differs from women's wear menswear is rather tips should be." I think so too.Can u read this sentence:( ?? Some looks that coordinated clutch bag are appeared on runway by many designer. http://tokyo-ms-kicks.blogspot.com/2011/08/a4-oversized-clutch-bags.html 今年の秋冬が楽しみですね（＾＾） Thabk u for reading.